The New York School-Based Health Alliance was formed in 1992 as an advocacy organization representing the interests of school-based health centers (SBHCs) in New York State. The Coalition, a s it was called at the time, became a 501(c)(3) not-for-profit organization in 2009. Our mission is to create access to comprehensive, high-quality primary care, including medical, mental, oral, and community health services, for all children and youth statewide through SBHCs. The Alliance achieves this by advocating for policies that promote the sustainability of SBHCs; promoting the delivery of high-quality services; raising awareness of the school-based health model; and promoting the growth and expansion of SBHCs. We have been very successful in executing our mission; today, more than 250,000 children in the state have access to school-based health services, and nearly 170,000 are enrolled in their SBHC. The Alliance, as it is now titled, is governed by a Board of Directors who are a volunteer group of dedicated professionals committed to the continued delivery of health care services to children and adolescents through SBHCs. Viju Jacob, MD, from Urban Health Plan is the current Chair of the Board of Directors. 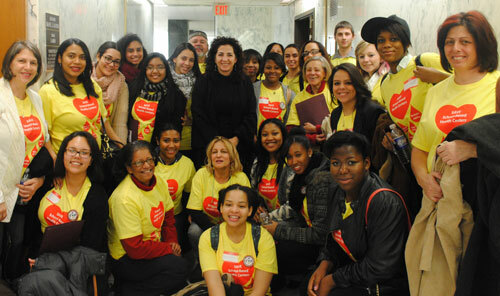 NYSBHA is a state affiliate of the School-Based Health Alliance (SBHA,www.sbh4all.org), formerly the National Assembly on School-Based Health Care (NASBHC). SBHA advocates for national and state policies, programs and funding that will sustain, grow, and integrate school-based health care into our nation’s health care and education systems to promote greater academic success. In August 2004, the organization was one of nine grantees awarded a six year grant from the W.K. 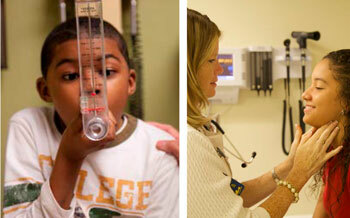 Kellogg Foundation as part of a nation-wide effort to expand and improve the SBHC model throughout the United States. In accepting the grant funds the Alliance agreed to adopt and advance Kellogg’s vision, “School-based health care will be financially stable, available and accessible to children and families, and supported as a consumer-centered model of quality care throughout the United States.” For more information see Center for School, Health & Education. The Alliance is the only organization that actively and effectively advocates for school-based health care in New York State. We have a strong voice in Albany that has been able to secure over $20 million currently in annual government funding from the state legislature and the Department of Health. Without the Alliance’s existence, funding for school-based health care would be in serious jeopardy.